works out of her studio in San Antonio, Texas. 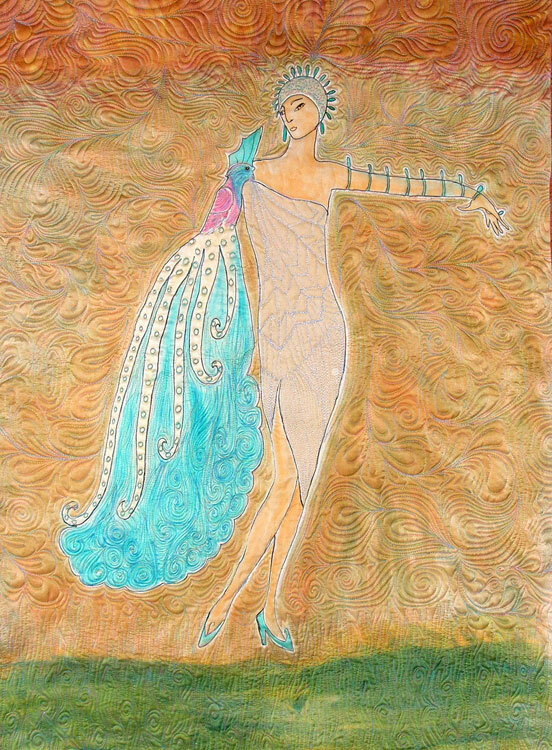 She considers herself a fiber artist, since the term encompasses many of her favorite techniques such as beading, thread-painting, doll-making, fabric-dyeing and -painting, quilting, altered books and shoes, assemblage, and surface design. 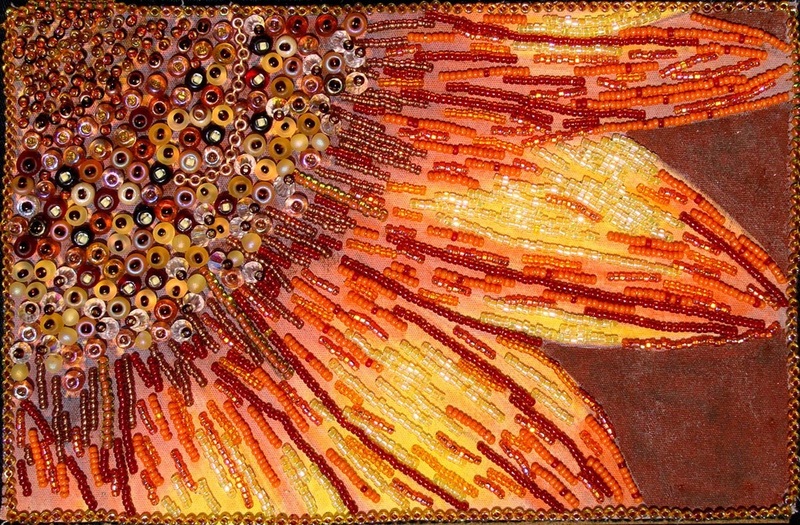 Her work has been exhibited and sold in several Texas galleries and the Houston and Chicago International Quilt Festivals, and is collected both locally and internationally. 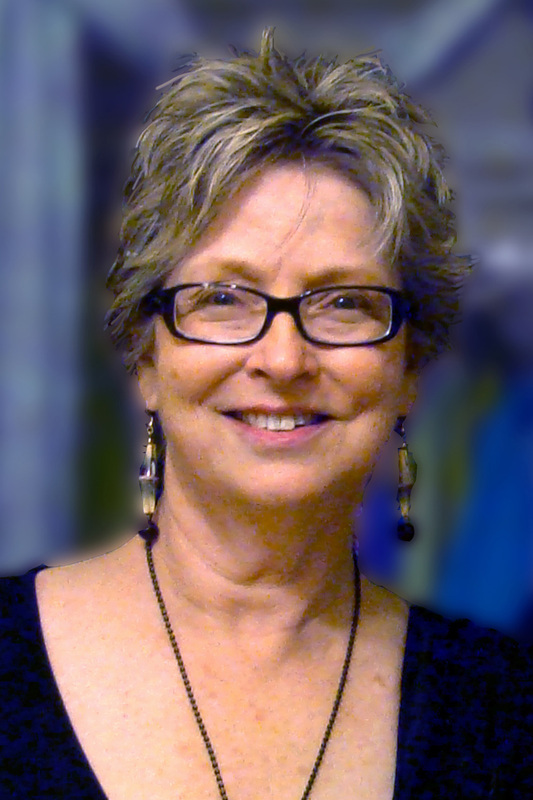 She is a contributing artist to Fiberart for a Cause, and to juried invitational exhibits for the Dinner at Eight Artists. 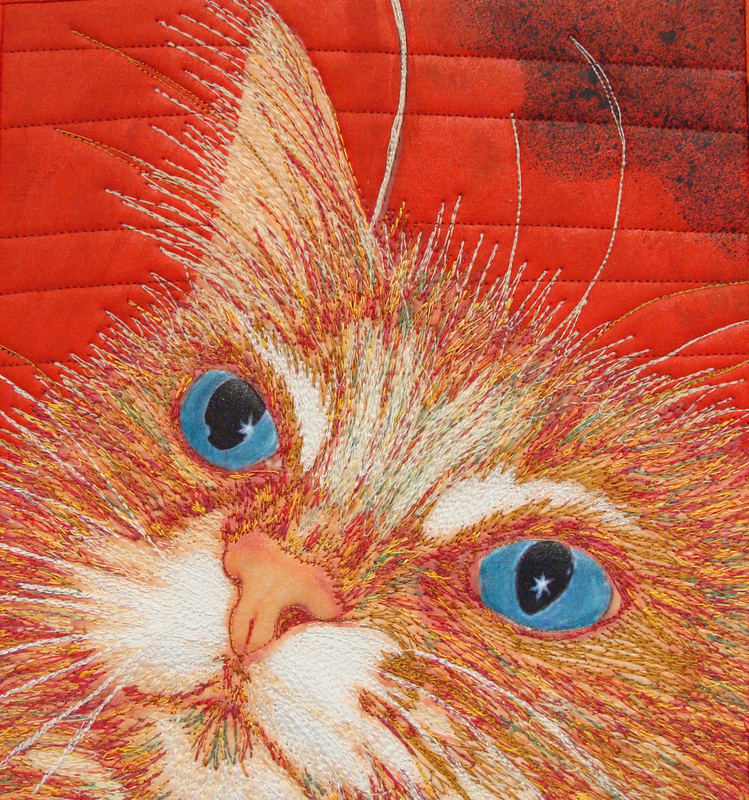 Her work has been published in “Creative Quilting: The Journal Quilt Project” by Karey Bresenhan, as well as in Quilting Arts Magazine. 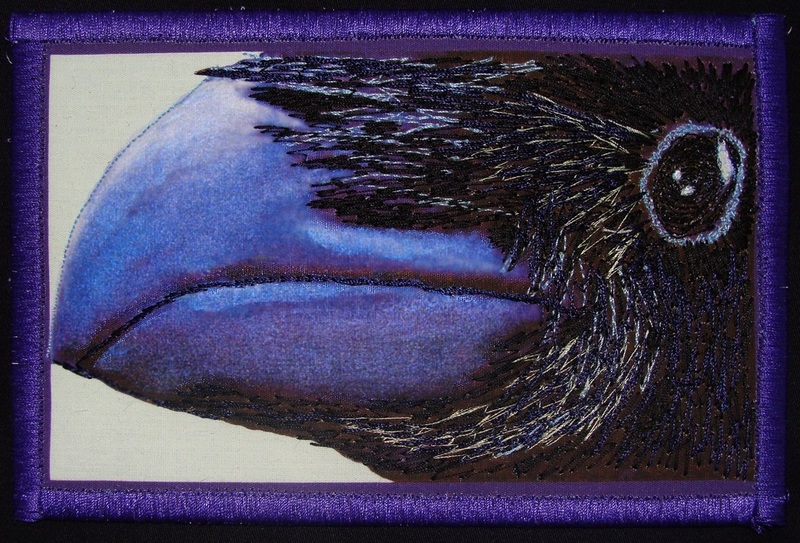 Investigating new ideas, experimenting with different techniques, and incorporating literary quotes in her work are favorite elements of her fiber art; being a founding member of FiberVoices is one of her proudest achievements. 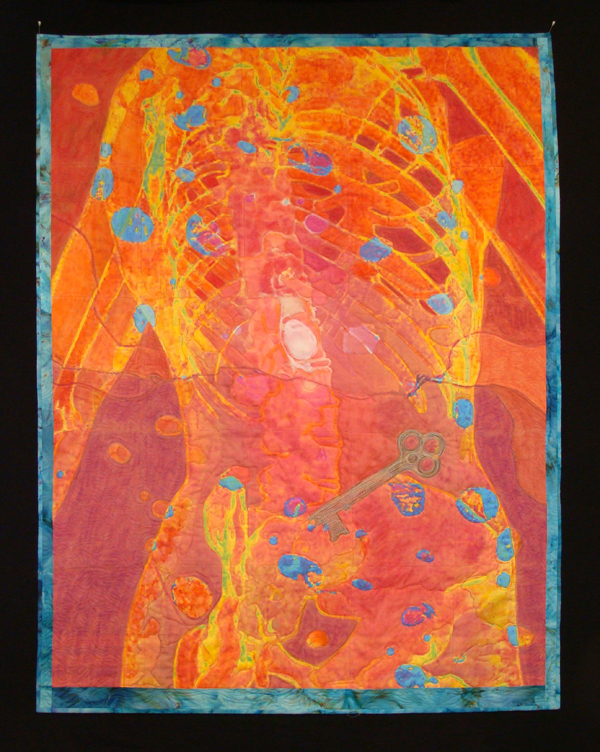 Kissing the Cat Goodnight, 24 x 60"
Look Into My Eyes, 12 x 12"